Healthy Weighs Wellness Center provides a variety of nutrition, health, and wellness services. These services include: Nutritional Assessment and Counseling, Functional Medicine, gentle and traditional Chiropractic care, Health Coaching, Meridian Autonomic Testing (MAT), Custom Orthotics, DOT/CDL Physicals, Massage Therapy, Acupuncture, Facial Rejuvenation, Human Performance Programs, Spa Services (Facials and Waxing), Personal Training, Medical Reiki/Reiki, Yoga, Hypnosis and Guided Imagery. Dr. Julie Conner, R.D., C.D.N., M.P.H., Ph.D., B.C.H.N, IFMCP specializes in the treatment of medically diagnosed nutritional problems and deficiencies, as well as related weight management needs. Dr. Julie is a Registered Dietitian and Certified Dietitian-Nutritionist, a Board Certified Holistic Nutritionist, a Board Certified Functional Medicine practitioner, a Certified Health Coach, and is Certified in Adult Weight Management. She specializes in Eating disorders, and treats patients with Anorexia, Bulimia, Binge eating disorders, Compulsive overeating, and Obesity. In addition to weight management, Dr. Julie works with patients with a variety of medical problems including Celiac Disease, Irritable Bowel Disease (Crohn’s Disease and Ulcerative Colitis), Diabetes, Reactive Hypoglycemia, Prediabetes, Metabolic Sydrome, Cardiovascular Disease, Food Allergies and Sensitivities, Thyroid Disease, Polycystic Ovary Syndrome (PCOS), and so much more! Dr. Julie strives to create personal and individualized meal plans that can be easily implemented into one’s everyday lifestyle. The meal plans incorporate either your own food, delicious prepackaged meals and snacks, or a combination of multiple strategies for successful structured meal plans. Dr. Julie Conner will develop a personal program for each patient after an extensive nutritional assessment and evaluation to determine what your nutritional needs are. BioPhotonic Antioxidant scanning, weight, BMI, body measurements, Wellness Scans and Body fat analysis using near infrared spectrophotometry are all used in the assessment of the patient. To help facilitate the recommended changes to her patients’ diets, Dr. Julie also provides a health food market and formulary on the premises. This helps her patients so that they can easily learn how to make healthy food selections. This unique market specializes in healthy foods and snacks meeting the dietary guidelines and perfect for those following fat, sodium, and sugar restricted diets. Dr. Brian Conner, D.C., C.K.T.P.,C.N.S.,C.D.N, IFMCP is a Chiropractic physician, Certified Kinesio Taping Practitioner, Certified Nutrition Specialist, Certified Dietitian-Nutritionist, Health Coach, IFM Certified Functional Medicine Physician and Certified Medical Examiner. Dr. Brian is our Medical Director. He treats both children and adults using both gentle and traditional chiropractic techniques. Dr. Brian is Certified in Kinesio Taping, Active Release Therapy for the full body, and has an Advanced Certificate in Sports Science and Human Performance. 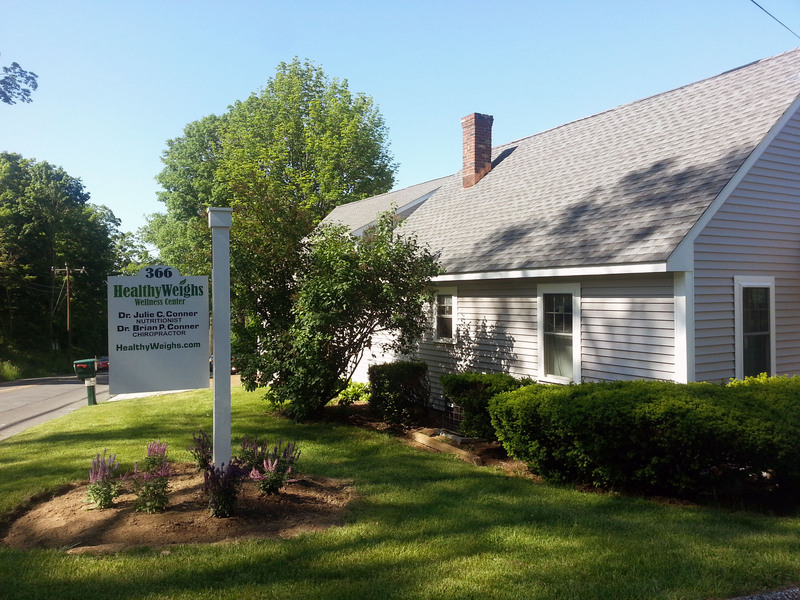 Dr. Brian uses Graston and Gonstead chiropractic techniques in treating his patients. Dr. Brian offers postural and spinal evaluations, corrective exercises and scoliosis screenings. In addition to being a Chiropractic physician, he is a Certified Nutrition Specialist and Certified Dietitian-Nutritionist and helps his patients meet their nutrition goals after performing a comprehensive nutritional assessment and evaluation. Dr. Brian works very closely with Dr. Julie and the rest of their wellness team to provide an integrative approach to a patient’s care. Through a combination of holistic wellness services, the mission at Healthy Weighs Wellness Center is to maximize a patient’s overall health and well-being.